Happy weekend, friends! I don't know about you, but this week seemed to drag on and on. I was so happy to see Friday roll around again. Fall has certainly been in the air all week and today it's not supposed to get above the mid-fifties. I'm excited for more layering and boot-wearing! It's been a while, but next week I have some personal style posts to share and a familiar collaboration that's coming back around on Friday - lots of familiar faces! Until then, have a wonderful weekend and enjoy the links I've rounded up below! Why Shelby and I share a brain - my camo/leopard, her camo/leopard - on the same day. I love this slouchy sweater style inspiration from Glitter Guide. Samantha Jones continues to inspire us with her wit and wisdom. Things to know about the hottie who has been cast as Christian Grey. Love this pretty plum round-up from Matchbook. These mid-heel leopard pumps are perfection. My latest sweater obsession complete with a big, sparkly bow. Furbish is having a fall flash sale - 20% off everything with code FALLFLASH. Happy weekend Julie! Love those leopard pumps you linked to, they are perfection! Love that coat. 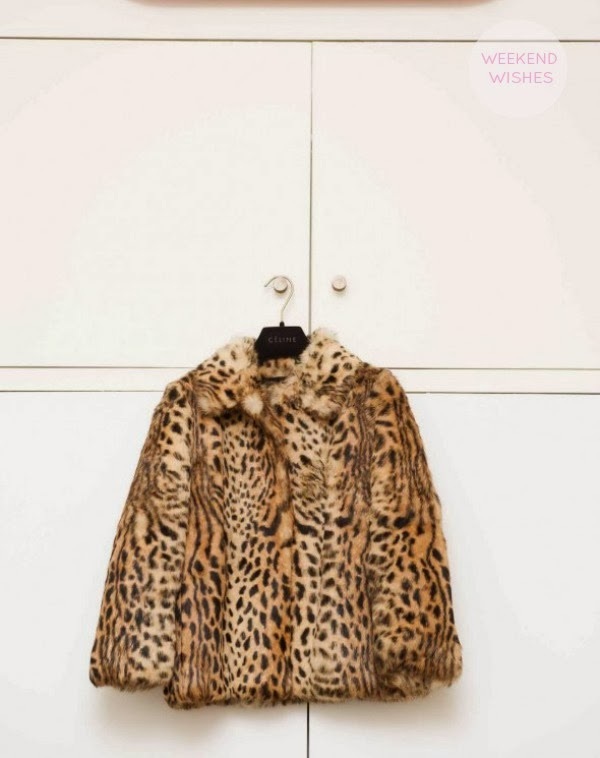 I bought a leopard coat last year, but sadly, the sleeves were too short and it had to go back.